Ya'll, let me tell you. 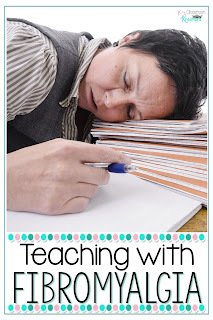 Teaching is exhausting, both mentally and physically almost every day. For all of us! But, when you are dealing with a chronic illness, especially one that seems invisible, it can be even harder. Several years ago I knew something wasn't right. I was only 25 but felt like a 90 year old. I was exhausted even after going to bed early. I seemed to be sensitive to the weirdest things. And I was in pain. All the time. Like, when one of my sweet students would give me a hug I could still feel the pressure even when they let go. Over the next 7 years, I saw all sorts of doctors/specialists, and blew through any chance of a savings account with test after test. Finally a Rheumatologist gave me the diagnosis of Fibromyalgia, (which I had already Google MD diagnosed myself with of course), along with Myofascial Pain Syndrome (that was a surprise but fit 100% and often goes with Fibro). Fibromyalgia is a chronic condition that features widespread pain and is often accompanied by excessive fatigue and memory/mood issues. Doctors are not sure what causes it exactly but some think it is a problem with how your brain processes pain. Sensitivity to cold, heat, light, or sound. If you are a teacher dealing with Fibromyalgia, just know you are in good company! I know how challenging each day can be, especially during a flare up. Here are a few things I am trying to keep in mind each day as I navigate my new normal. Hopefully it can help you too. First, let me admit that I am a Type A, overachiever, who thinks I need to be on every committee and has a strong desire to have a Pinterest Perfect classroom at all times. Yeah. These can't be my goals in life, and I don't think they should be yours either. While yes it is great to pour your heart and soul into your classroom and students, give yourself grace if you have to say no to something. It's okay if you find a shortcut that gets the job done but may not be a cute as you'd hope! You supporting your students is most important, and that can look very different depending on the day and activity. Also, find friends that understand you have good days and bad days. I am sure when you agreed to do something on a Saturday, you had the best of intentions and really wanted to. But then you pushed through the rest of the week, and by the time Saturday came you physically couldn't move or open your eyes if you tried. I'm not saying be a flake and skip out on your friends and plans...just make sure your friends know your true desires and that if you're not there it's for a good reason. For whatever reason (probably that whole Type A thing), I have an extreme hatred of the word "lazy." I never want my coworkers to feel like they have to pick up the slack for me. Sometimes this means I end up pushing myself way too far just to appear like I have it all together...but I don't. I am learning to count on my teammates, delegate, and share responsibilities and tasks. While this isn't easy for me, I know it is a change I need to make. Some days I can put in lots of energy and effort, and others I simply can't. As a team we can work to our strengths and be patient with each other. I know if "life happens" for anyone else I am fine picking up the pieces for the benefit of our students...I have to trust that they are too. 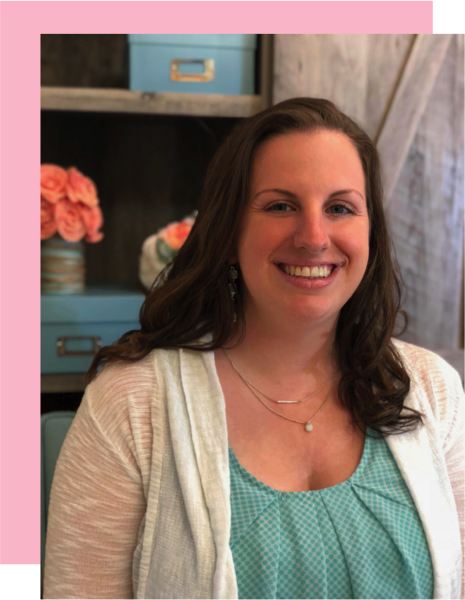 I am trying to take advantage of the moments when I am feeling good and clear-headed to plan small groups, get caught up on tasks like grading, and tidy up my classroom. I am also working on batching out tasks. This means that instead of planning one week of spelling words, or math homework, I may prep several at a time. By focusing on just one job, like knocking out math homework for the month, I know it is one thing off of my to-do list and allows me to give myself grace if I have a flare up or off day in the future. This also might include meal prep, getting caught up on laundry or other household chores, and breaking down big tasks into smaller manageable chunks to avoid over-doing it. While there is no cure for Fibro and it can be a real pain (literally), there are ways to manage the symptoms. You can try different combinations of medication and healthy habits like diet and exercise. Learning to manage stress is also one of the biggest ways to help (or so they say, I am still working on this one!). I have found that Dry Needling and Physical Therapy has worked for me. Although I occasionally try gentle massage for pain relief, the needling works better for my body. You can also try soaking in an Epsom Salt bath to reduce pain and stress as well. 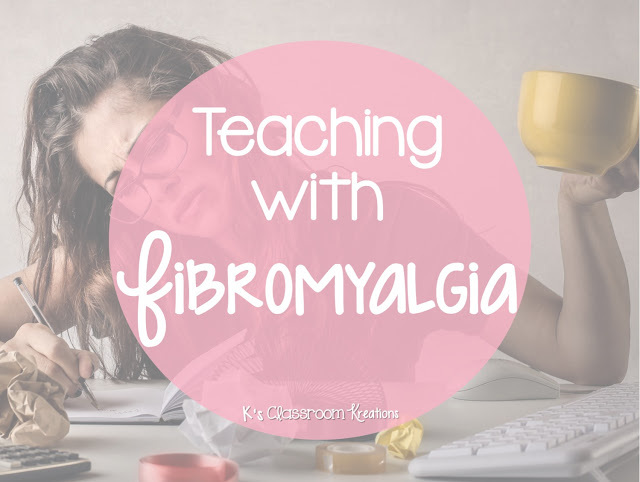 I hope if you are dealing with Fibro while teaching, you can take something away from these tips to help. As I am still dealing with a fresh diagnosis (even though I have been living with the symptoms for years), I would love to hear from you too- what helps you the most when you're in the middle of a flare? How do you cope with the exhaustion day to day?